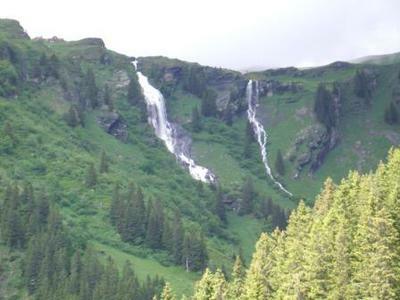 This waterfall is on the Faulhorn Mountain above Grindlewald and comes into view as you ride up to First on the Grindlewald-First Aerial Gondola. 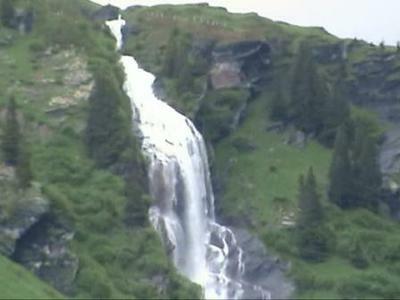 The Milibach stream plunges down the mountainside with a second smaller fall to the right. 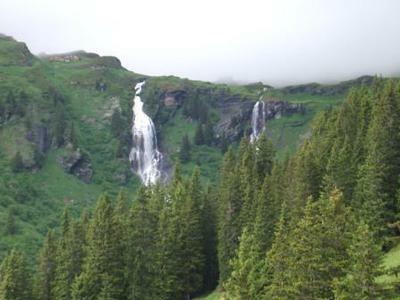 It is possible to get a closer view by taking the Postbus to Waldspitz or hiking down from the cable car station at First, but either way it will be quite a trek!